Academic advising within the College of Arts & Sciences provides students with guidance in course selection, major decision-making, academic support, goal setting and career development. 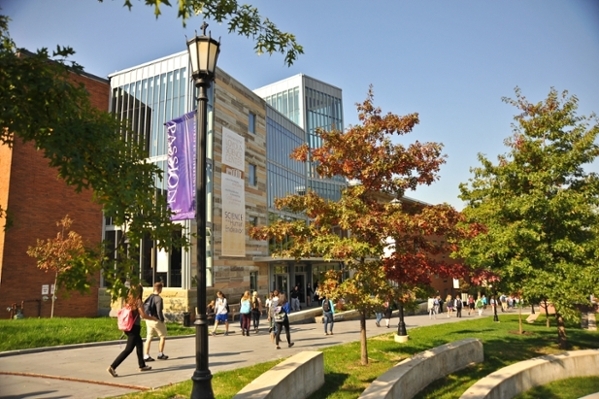 Learning at the University of Scranton goes beyond the classroom. There will be many decisions you must make for the first time. Academic advisors are here to help you through this transition. Freshmen and students who are not enrolled in a major are advised by the CAS Academic Advising Center. Students are not assigned a specific advisor within the Center but they may choose to work with a certain advisor. Upper-class students are advised by faculty members in the students’ majors. Faculty advisors are assigned to students at the end of their freshman year or when the upperclassmen declare a major. Students can find the name of their academic advisor on MyScranton.edu. After logging on to My.Scranton, select the "Student" tab, then "Self Service (UIS)", click on Student Services, click on Student Record and then click on View Student information. The academic advisor is listed. The advisor's email address, office address and phone number can be found in the faculty/staff directory on MyScranton.edu.